Setup 8 macros for common use. Press a key to automacically type your email address; another key for your mailing address; etc. Eight dedicated keys with addressable backlighting in a compact, low profile footprint. 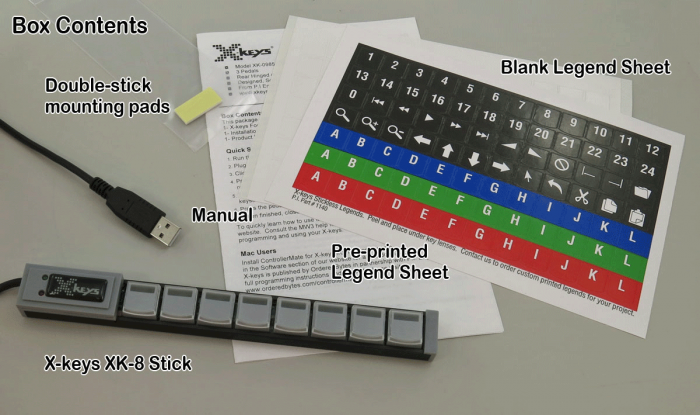 One of our most popular X-keys. The XK-8 offers eight programmable keys to trigger macros, shortcuts, and applications, select tools or open files or directories. 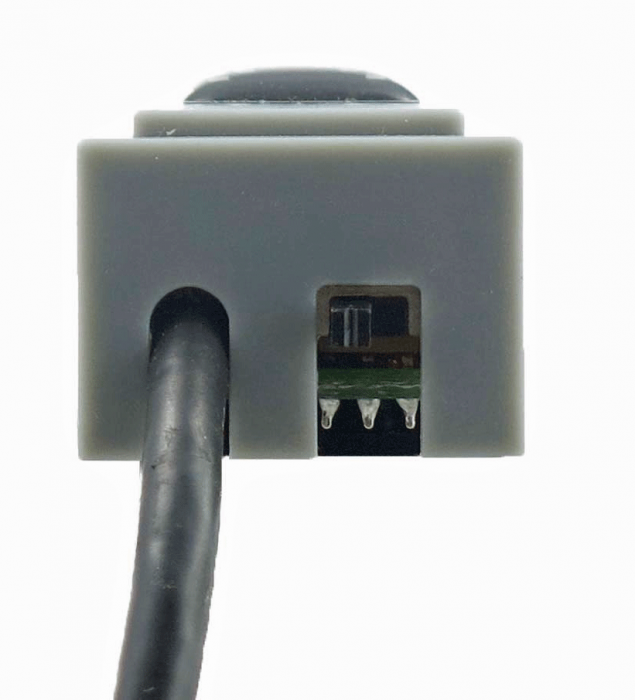 The low profile, slim footprint fits nicely under display monitors or above keyboards. 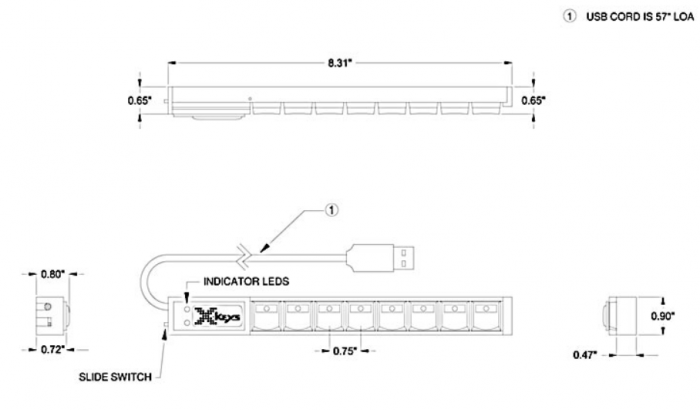 The XK-8 provides a versatile control strip for any computer driven application.